Yuan Yu conveyors are available in a variety of belt types and are used in various industries. This equipment consists of belt and plastic belt conveyors. The combination of multiple conveyors is integrated into recirculating automation equipment. Planning to combinate the client's optical inspection machine, the seemingly simple single-machine conveyor is an indispensable assistant for the production line through the ingenious design. This time, Yuan Yu planned a steel plate type double-layer unpowered lifting roller conveyor for the customer, using the steel plate type non-powered roller conveyor with the lifting mechanism and the lower return mechanism to be placed on the conveyor of the unpowered roller table of the bakelite forms an internal circulation mode of operation. 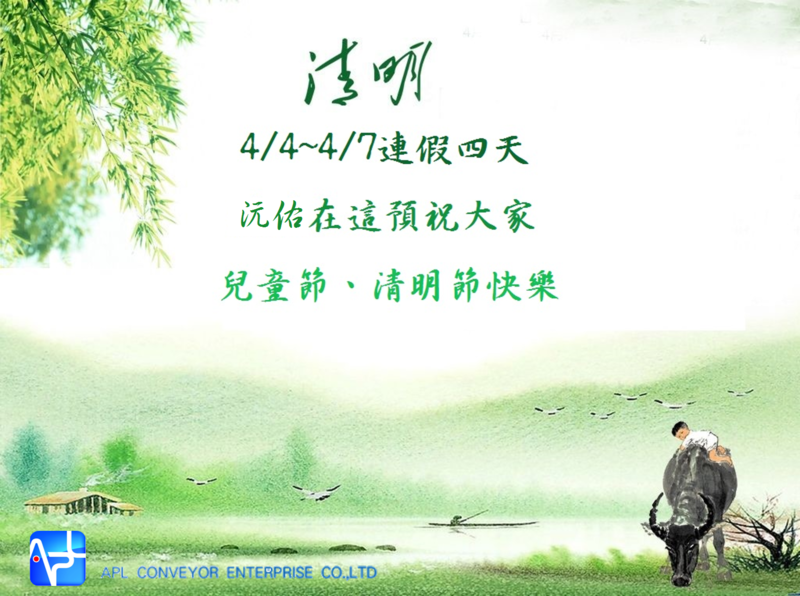 The Qingming holiday is 04/04~04/07 (four days).We wish you all a happy holiday on Children's Day and Tomb Sweeping Day! In this case, the Yuan Yu conveyor designed a working aluminum extrusion belt conveyor for a customer in central Taiwan. 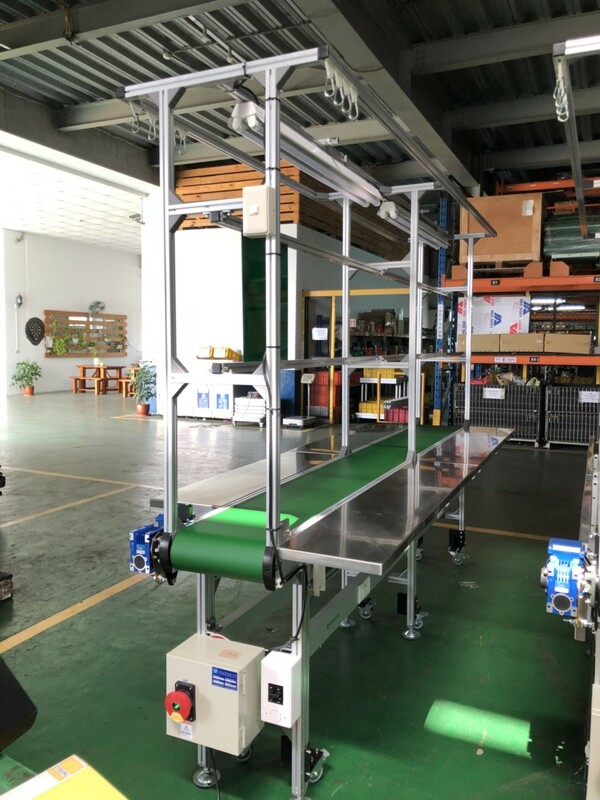 The SOP rack and the lamp tube can be added to allow the aluminum extrusion belt conveyor to have sufficient illumination on the assembly line. The aluminum extrusion belt conveyor can also be equipped with accessories such as additional air ducts. Please call the Li chen conveyor to let the business team design for you. This time, Yuan Yu helped the client project to plan a conveyor that transported fish balls. In addition to the use of food-grade white belts, two crossbars are added to the bucket to make the dumping work more labor-saving. Simple design and creative ingenuity not only solve the inconvenience of employees' work, but also bring more Production capacity to customers. Spring feast-"Cantonese Jade Garden Restaurant- Han Lai Xuan "
The highlight after resuming business operations - spring feast, for the company to celebrate the harvest of the year and the coming of the new year, thank the welfare committee for preparing a fine meal- "Han Lai Xuan" and exciting games. 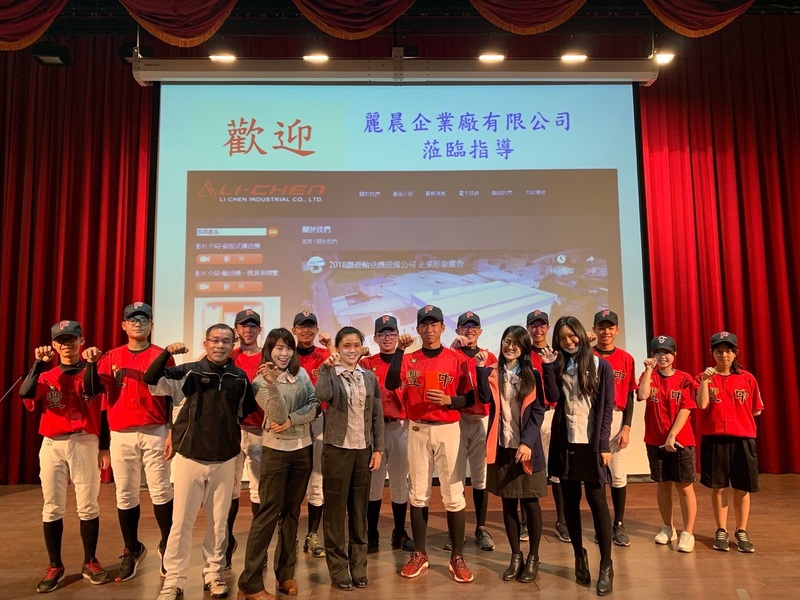 Thanks to the chairman of Yuan Yu Conveyor Equipment Co., Ltd.is strongly sponsored, so that every colleague can enjoy the game in the game, and also make a perfect ending for this spring feast! The Yuan Yu’s Greetings will be able to hope everything is going well in the new year and the chairman of Yuan Yu will give encouragement and remind all of colleagues at the start of the work.Everyone is standing in a row and throwing divining blocks in order.Congratulations to this year's lucky red envelope winner.We are sincerely congratulated at the start of the work: Wish you all the best in the new year, the business is booming, and the financial resources are wide! Lunar New Year is coming soon. 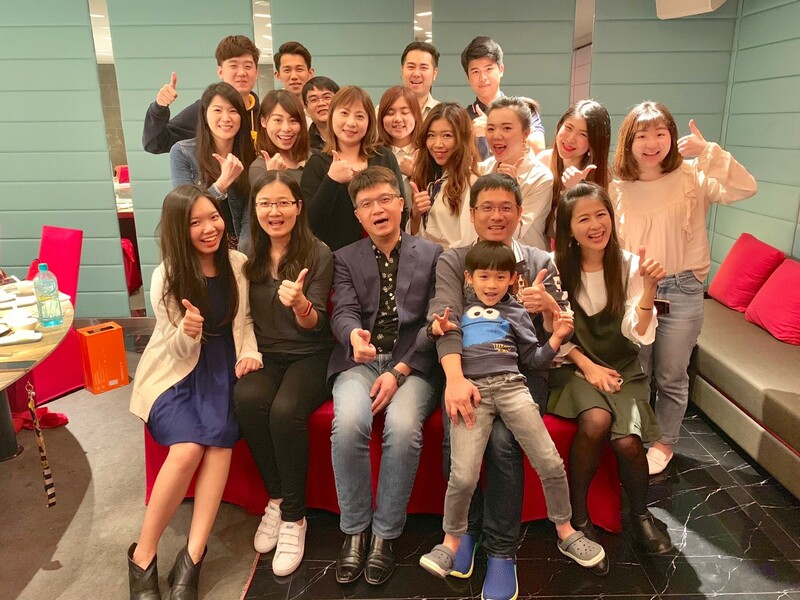 At this wonderful Spring Festival, Yuan Yu expresses our sincere gratitude and blessing! Thank you for everyone continued support. 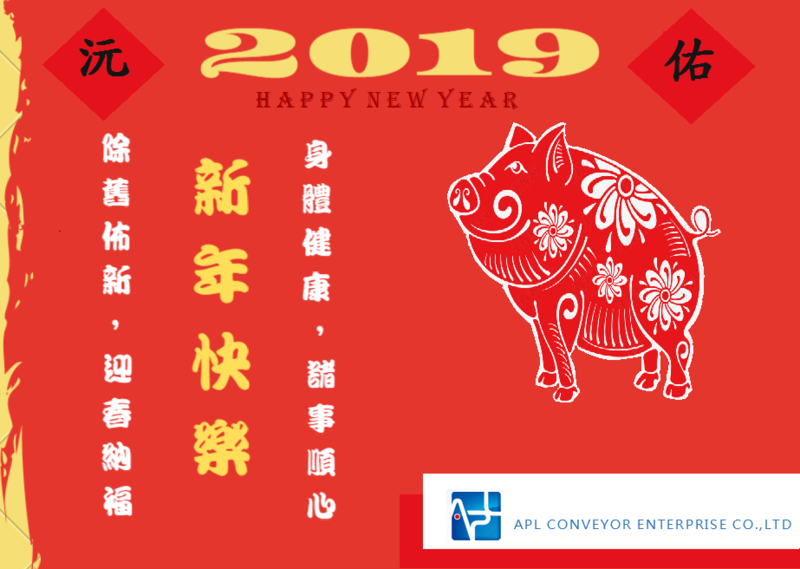 For every moment, every thing, everybody, we look forward to more cooperation and communication with you.We wish everyone: Wish you good fortune and may all your wishes come true.